A pack of laser cut card post & rail fencing with 4 stiles and 4 footpath signs. A very versatile kit with a wide range of uses on your OO scale model railway layout or 1:76 diecast diorama. 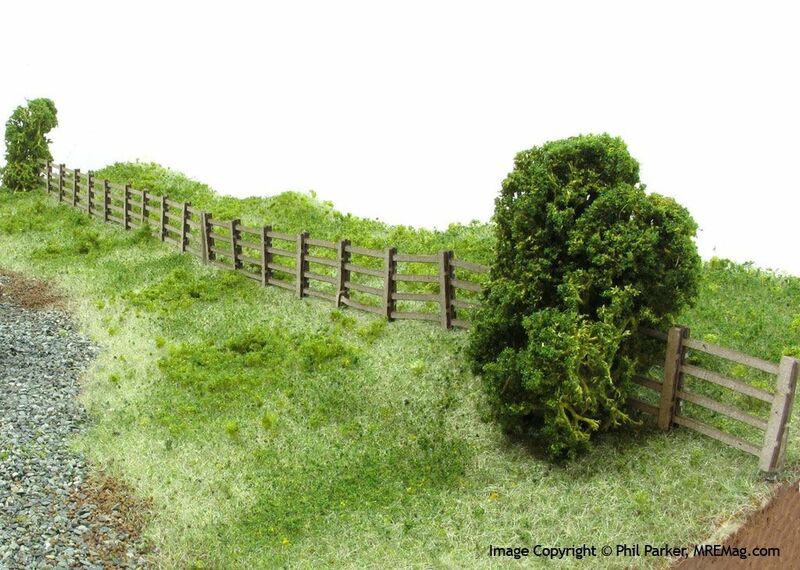 This fence stands a scale 4ft high (16mm in OO gauge) and is flexible enough to be used around curved track & roads, yet sturdy enough when assembled to stand the test of time on your layout. Supplied pre-cut with 6 strips of fencing, plus four styles & four signs. Easy to assemble. Can be painted using artists acrylics or left in its natural colour. Very easy to assemble - just a few minutes per gate & length of fencing. Can be glued directly to your baseboard and will even work up and down gentle inclines & embankments. 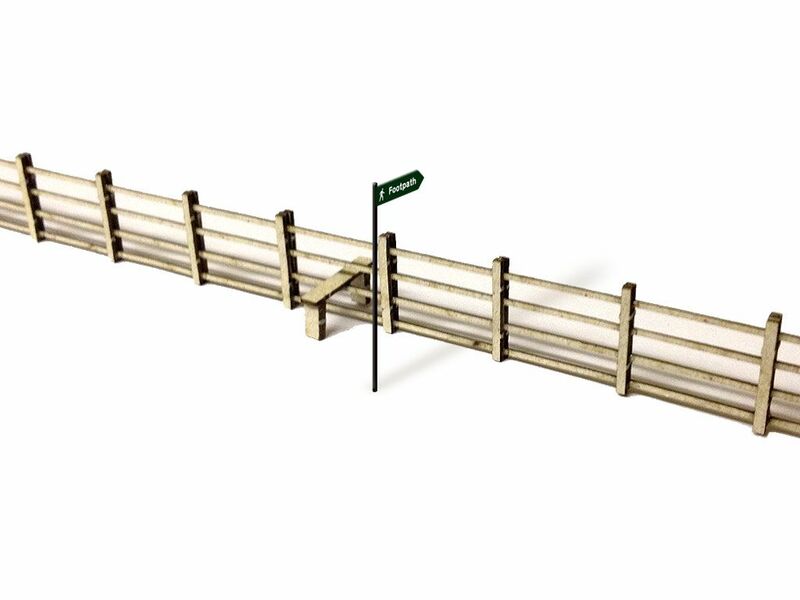 Supplied with easy to follow instructions, in a cellophane packet..
Bought a few packs of this fencing, easy to assemble, seamless joins made by splitting the end posts of the strips to be joined vertically and covering the join with the outer post thickening strips. Light paint with silver grey paint allowing some of the brown stains from laser cutting to show through for a quick weathered/neglected look. Good value for money. enjoy the concept of laser cut fencing very easy to remove from fret uncomplicated to build, even before painting looks realistic. painted and installed on layout looks very smart. Looks great on the layout, adds that bit of realism. Agree with Jerna with regard to joining. Fast delivery of product. Easy to assemble. Looks good. Value for money.